On December 31, the United States will return the Panama Canal to this Central American republic. But officials here are hoping that Americans will still come—as tourists. I'd been away from Panama since 1970 and wanted to see Coco Solo, a Caribbean-side settlement not far from Colón where I'd lived for three years. But the town of my Navy-brat adolescence was not a pretty sight. The high school stood deserted except for shotgun-toting guards. The old Panama Canal Co. commissary and movie theater were derelict, roofless shells. And my family's former house, with its magical view of Manzanillo Bay and the blue-green sea, was garnished with dark mold and sun-bleached laundry. But at the end of the street, the gantry cranes and shipping containers of a new, multimillion-dollar port climbed into a perfect dry-season sky. Since the blunder years under General Manuel Antonio Noriega, development has begun to transform the Pacific-side capital, Panama City, as well. 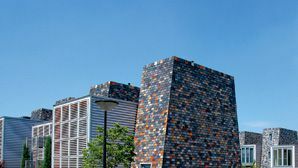 After a 20-year hiatus, an abundance of new high-end hotels has altered the capital's skyline: the Bristol, the Radisson, the Miramar Inter-Continental, the Marriott; all have gone up since 1997. The question is, Will gringos come? Let's be honest: Panama has a bit of an image problem. Almost since the day in 1502 when Christopher Columbus claimed it for Spain, Panama has been a haven for all manner of raffish adventurers and unrepentant scoundrels. Argentine dictator Juan Perón landed here after things soured. Ditto for the shah of Iran and, most recently, deposed Guatemalan President Jorge Serrano. La Crisis — Panamanian shorthand for Noriega's six-year reign — may have ended more than nine years ago, but only now have visitors returned in pre-invasion numbers. Most, however, are here on business. For tourists, the stigma of the old Panama endures. Yet there is a bright side. "Panama, unlike Costa Rica, hasn't been overrun with tourists," says American painter Lynn Capell, who moved down five years ago to hibiscus-drenched Taboga, an island 12 miles south of Panama City whose natural beauty once enchanted Paul Gauguin. Panama may soon be something of an open secret. Lonely Planet recently published a guidebook on the country. Tourism officials hope to use the U.S. handover of the canal on December 31 — the greatest real estate transfer since the British relinquished Hong Kong — to tout Panama's bounteous attractions. There is, of course, the 50-mile-long canal itself, an engineering marvel even 85 years after its opening. 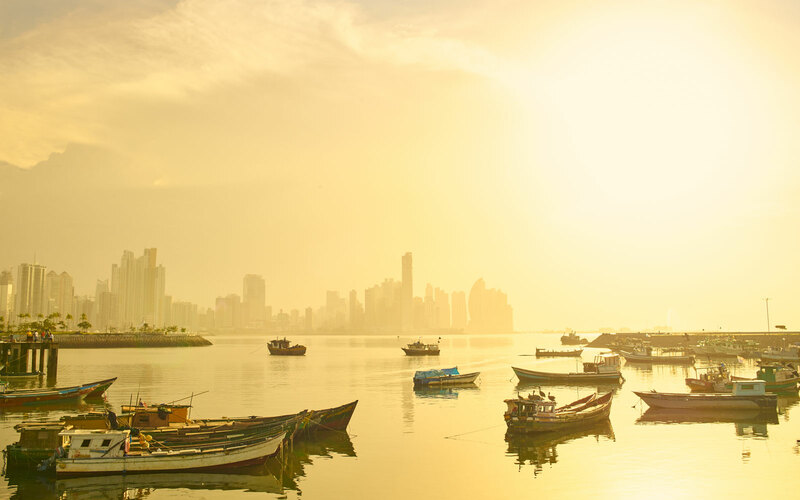 Panama also has the largest duty-free zone in the Western Hemisphere, miles of untrammeled beaches, world-class deep-sea fishing, and a marine park that has invited comparisons to the Galápagos. In Panama City's San Felipe district, settled after pirate Henry Morgan plundered the original town in 1671, the unusual mix of Spanish, French, and Early American styles earned the old quarter a spot on the United Nations' World Heritage List. As a centuries-old crossroads for world trade, the isthmus has long attracted merchants, fortune hunters, and itinerant laborers. Nearly a quarter of Panama City's people are neither mestizos nor of indigenous ancestry; a shopkeeper is as likely to be East Indian or Chinese as Latino. Yet in a city filled with nightclubs and casinos, the hottest spot is a slice of franchised America: Yo quiero T.G.I. Friday's. Buffalo wings and potato skins aside, the diversity of this tropical melting pot has also infused its cooking. And because Panama is a locus for international business — and business meals — the food is routinely First World. A favorite Panamanian haunt is Restaurante Las Bóvedas ("the Vaults") — said to have been a dungeon in more bellicose times — beneath San Felipe's 18th-century ramparts. The cuisine is French, the band favors bossa nova, and the bust of Ferdinand de Lesseps in the plaza out front serves as second base during impromptu baseball games. This is the Panama that lingers in my imagination: worldly and sensual, relaxed and slightly irreverent. Here cabbies sound their car alarms to solicit fares, joust with ornately painted buses (Bruce Willis seems to be a favorite motif), and salute beautiful women. No one gets the silent treatment. Few visitors venture beyond the bright lights of Panama City. According to Winston "Panama Jones" Rice, an American who has parlayed army skills honed during a 10-year canal posting into the adventure-oriented Panama Discovery Tours, this undeveloped character is part of the country's charm. "Can you imagine trekking through lush, pristine rain forests in the footsteps of Balboa, Henry Morgan, or Sir Francis Drake?" Rice will gladly take clients bushwhacking along the Camino Real, where mule trains once carried New World treasure to galleons anchored at the Caribbean settlements of Nombre de Dios and Portobelo. In Panama, access even to Rice's stamping grounds isn't a problem. The rain forest of Soberania National Park, where Audubon Society members routinely count nearly 300 species every Christmas, is just a half-hour drive from the capital. The famed Smithsonian Tropical Research Institute, on Isla Barro Colorado in Gatun Lake, is an easy day trip. The ferry ride to Isla Taboga, Capell's idyllic offshore garden, lasts a little over an hour — about the same time it takes to drive across the isthmus or fly to the country's remotest corners, the provinces of Bocas del Toro, which borders Costa Rica, and Darién, which adjoins Colombia. One hot, humid morning David Clarke, a Panamanian guide, leads me through jungled Soberania. It's part of a trio of national parks — Chagres and Camino de Cruces are the others — that protect the canal watershed; preserve habitat for anteaters, monkeys, and the raccoon-like coatimundis; and give visitors a taste of the epic vegetation, insects, and saunalike heat that defeated European colonists for centuries. Clarke is generous with his natural-history knowledge. He points out the various palms that indigenous people use for weaving and cooking, notes hummingbirds and woodpeckers, and offers proven backwoods advice against venomous fer-de-lance and bushmaster snakes: Urinate in a big circle around your tent. I make a mental note always to pack plenty of Balboa beer. The equally practical-minded government has tried to goose development by providing tax breaks for tourism projects; this partly explains the current construction boom in Panama City. In the past two years, Panama has added more than 1,000 hotel rooms, including the 57-room Bristol, with its round-the-clock butler service and cyberlinked suites. The other reason for the edifice complex, of course, is a time-honored local pastime: money laundering. To his credit, President Ernesto Pérez Balladares, a real estate magnate known as El Toro, has created Latin America's first financial-intelligence unit to rein in the buccaneers of banking. If only Panama could make outsiders, particularly cruise-ship operators, understand that conditions here are a damn sight better than they were a decade ago. Two hundred fifty ocean liners annually transit the Panama Canal, but, in the maritime equivalent of locking car doors when driving through a bad neighborhood, they rarely call on Balboa or Cristobal, the ports at either end. However, the Interoceanic Regional Authority, a state-owned corporation charged with developing former Canal Zone real estate, has big plans to transform Fort Amador. This former U.S. base on Panama's Pacific side is slated to become Central America's largest resort, with an 18-hole golf course, hotels, restaurants, and a casino. On the Caribbean side, the Panama Canal Commission has improved facilities at the lakefront Gatun Yacht Club to accommodate cruise ships, while Hutchison Whampoa, the Hong Kong-based shipping giant, is sprucing up the port of Cristobal. But the northern coast has long gotten short shrift. Perhaps it's just geography; maybe the region's ethnic makeup also plays a part. The towns, Colón in particular, have substantial English-speaking black populations, the legacy of West Indian laborers who came to Panama to work on the French and American canal projects. I'll admit I'm partial to this, Panama's far side. Sparsely settled, the overlooked Caribbean region contains the country's best forts (Portobelo), best diving (Isla Bastimientos National Marine Park), best shopping (Colón Free Zone), coolest indigenous people (the Cuna Indians of the San Blas Islands), and hottest Next Big Thing (Bocas del Toro). "Oh, God," beseeches Capell, "don't say Bocas." Too late. Adventurous tourists have already discovered the sleepy archipelago — once a hub of the United Fruit Co. and now an emerging destination for divers, sportfishermen, and fans of backwater tropical ambiance. If only Colón, located 150 miles to the east, could garner a fraction of the buzz. Tourism authorities hope to return the seedy city to its pre-war glory days, when its nightclubs, Front Street shops, and French-inspired architecture made it a required port of call. But resuscitation seems a tall order for Panama's second-largest city. Colón's dowager princess is the waterfront Washington Hotel, which once welcomed Will Rogers, Al Jolson, and Bob Hope. The exterior remains gracious, but the effect evaporates in the lobby, where a trio of body-armored, shotgun-packing policemen lounge all afternoon. To improve its odds, or yours, the hotel casino thoughtfully displays hand-painted warnings at its door: PROHIBIDO PORTAR ARMAS DE FUEGO. My room is decorated with cheap, mismatched furniture and a painting of a circus clown. The sultry morning brings no water pressure. And, by the way, forget tennis. The hotel's courts have no nets. I take my coffee and trudge to a second-floor balcony to consider my shrinking options. The view, so similar to the vistas of my memory, immediately restores me. Beyond the hotel seawall, two dozen ships ride at anchor, waiting to load cargo, to cut through a continent and steam to obscure banana ports straight out of a Conrad novel. The trade winds rustle the fronds of coconut palms, coaxing air that is laden with the boundless sea and the rich perfume of a nearby plumeria tree. It is a good scent, one fraught with possibility. CHRISTOPHER COX is a feature reporter at the Boston Herald and author of Chasing the Dragon: Into the Heart of the Golden Triangle (Henry Holt). The Bristol Avda. Aquilino de la Guardia, Marbella, Panama City; 507/265-7844, fax507/265-7829; doubles from $225. Caesar Park Vía Israel at Calle 77, San Francisco, Panama City; 507/270-0477, fax 507/226-0116; doubles from $195. With 385 rooms, one of the grandest hotels in town. Miramar Inter-Continental Hotel Avda. 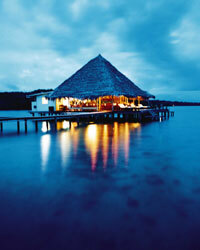 Balboa, Panama City; 507/214-1000, fax 507/223-4891; doubles from $215. Sleek and shimmering on Panama Bay, the address of choice for exiled royalty. Hotel Taboga Isla Taboga; 507/264-6096, fax 507/250-2011; doubles from $70. Washington Hotel Calle Primera at Avda. Bolívar, Colón; 507/441-7133, fax 507/441-7397; doubles from $70. Restaurante Las Bóvedas Plaza de Francia, San Felipe, Panama City; 507/228-8068; dinner for two $85. Restaurante Casco Viejo Calle 50, Marbella; 507/223-3306; dinner for two $30. French cuisine for the fraternity of Panamanian yuppies. Restaurante Madame Chang Calle 48, Marbella, Panama City; 507/269-1313; lunch for two $25. Quiet elegance and the best Chinese food on the isthmus. Hotel Chu Isla Taboga; 507/250-2035; dinner for two $20. Charming open-air setting in a waterfront colonial building. Tarpon Club Spillway Rd., Gatun; 507/443-5316; dinner for two $35. A Zonian tradition, renowned for its corbina dishes.